TGIF! Let's raise a glass to Friday night at Carr Winery featuring Reggae band, After the Smoke. Hailing from Ventura County in Southern CA, After the Smoke comes to you with an original style of Cali roots-rock Reggae music. 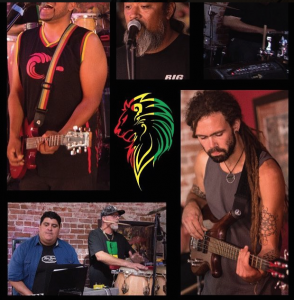 After years of pursuing their own musical endeavors, long time friends come together to bring the world a new sound of reggae. 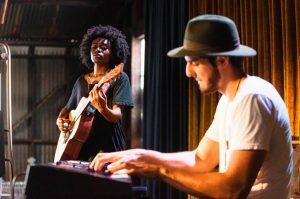 What started out as a few jam sessions eventually led to an original blend of roots-rock reggae, with every individual member contributing a unique influence from their diverse backgrounds. 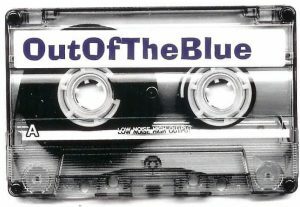 Hailing from Santa Barbara, OutofTheBlue combines rock n' roll, soul, reggae, blues & country for a low noise, high output show. Indie, soul, and rock n' roll, Whesli is a music duo based out of Los Angeles, California. 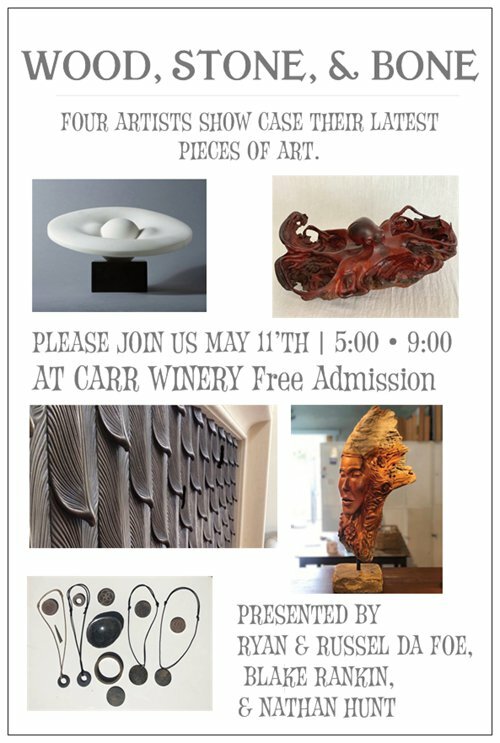 The Summer Art Series returns to Carr Winery in Santa Barbara in May 2019 with featured artists Ryan Dafoe, Russel Dafoe, Blake Rankin & Nathan Hunt. The Wood, Stone & Bone series will run from May 11, 2019 to June 8th, 2019 with an opening artist reception on Saturday, May 11, 2019 from 5:00pm - 9:00pm. Sip wines by the glass and meet the artists. Who's thirsty? 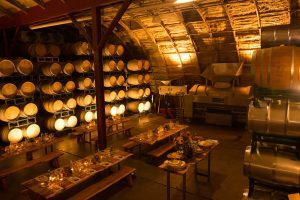 We're serving up wines by the glass in the barrel room and the TD Lind Duo is performing blues infused americana live at 6pm. Raconteur and wayward traveling bluesman. Over the years TD has played/worked with Glyn Johns, Sting, Bad Company, The Moody Blues, Wilco, The Mavericks, Marillion and James Blunt to name a few. TD has released 4 albums to critical acclaim. 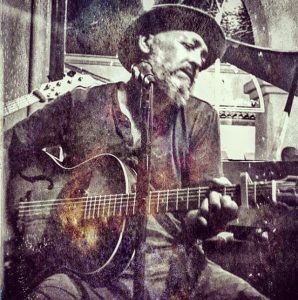 TD is currently releasing his 5th record titled Stone Fruit Blues backed by The California Feetwarmers, produced by two-time Grammy award winning producer Tim V Hutton.